The Premier Inn Hotel Ipswich Town Centre (Quayside) is literally just opposite the quayside, ideal for spending time near the River Orwell or wandering around town. The city of Ipswich is filled with great restaurants and bars and the Cardinal's Park multiplex cinema is an easy walk away. 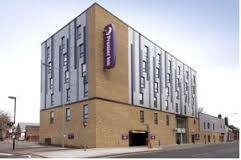 Book direct now for the best Premier Inn Ipswich deals. Good location close to the A14 opposite Foxes Marina. The town centre is just 3 miles away. This Premier Inn provides free on-site parking and a Beefeater Grill. ​Close to the A12/A14 in the South East of Ipswich just 3 miles from the town centre. This Premier Inn has free on-site parking and is next to a good pub serving good value meals. Book direct for Premier Inn Ipswich special offers. Located near to the beautiful countryside of Orwell Priory Park, and near the Ramsons Euro business park. Ipswich town centre is just 7 miles away. There is free on-site parking and a Brewers Fayre restaurant. ​Conveniently situated on the A14, Premier Inn Ipswich North is close to Ipswich town centre and Ipswich Football Club, 5 miles from Ipswich train station. Facilities include free on-site parking and a good restaurant serving quality meals throughout the day. Book now for great Premier Inn Ipswich deals.